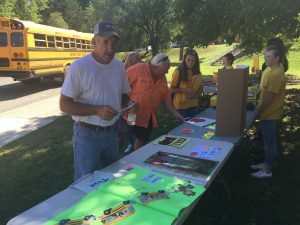 The Ultimate Tailgating theme for Bus Driver Day kicked off (get it?) the 2016-17 Employee Appreciation Program. From the summaries, photos and videos, it is evident this theme was one of the best received so far. 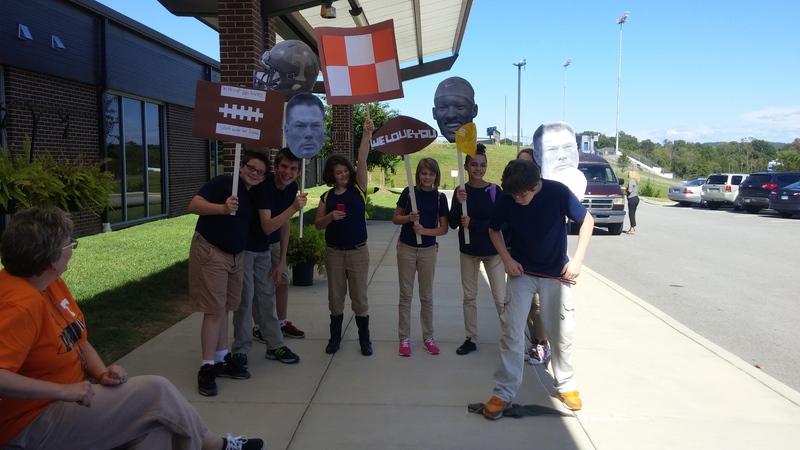 There were some notable Players of the Game for this great day including the students at Surgoinsville Elementary. 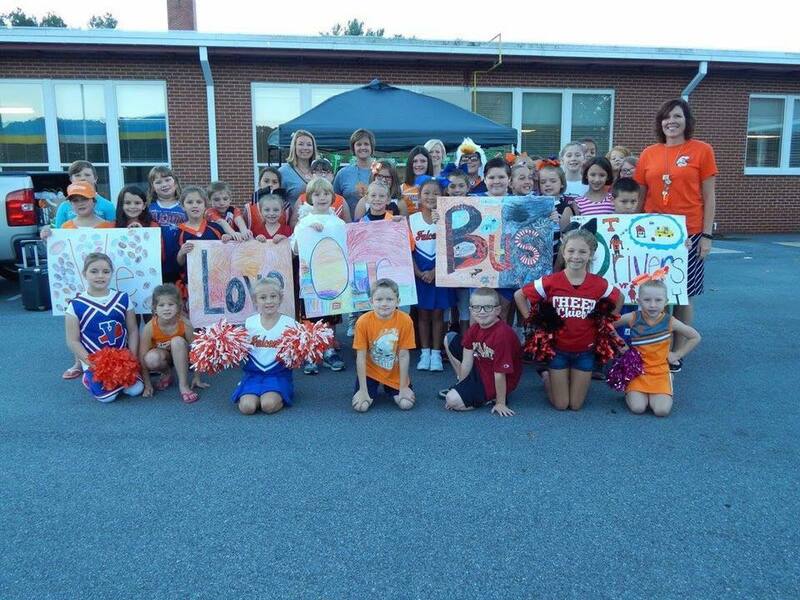 Some dressed up as cheerleaders and cheered their drivers on to victory the morning of Bus Driver Day, and watch this adorable video from St. Clair Elementary also in Hawkins County of the students singing the rewritten song to their beloved bus drivers. Adorable! 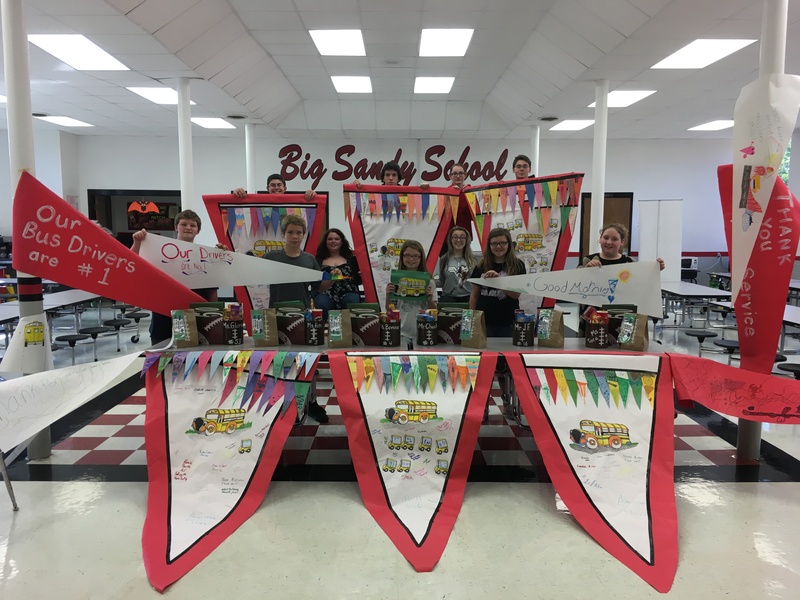 And look at these amazing pennants for each driver made by the students at Big Sandy in Benton County. The time the students took to make these stunning pennants is a testament to their dedication to showing appreciation to people they love. Anderson County rocked Bus Driver Day in a big way! 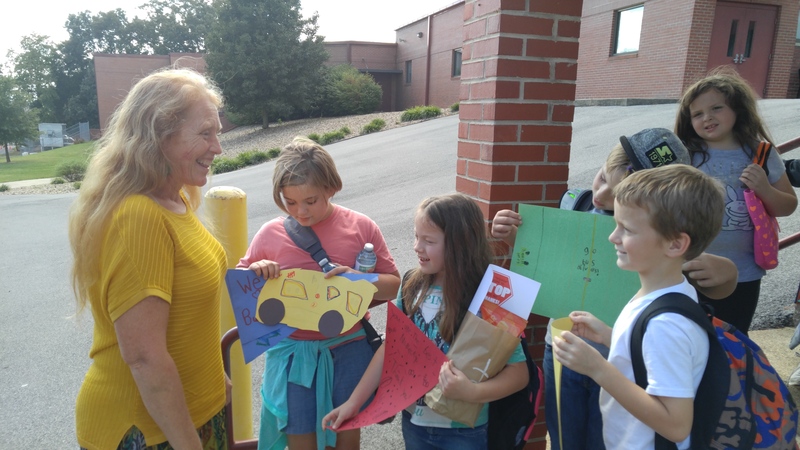 We love it when the students use their own creativity to come up with fun things such as the adorable goodie boxes and signs to wave made by the students at Clinch River Community in Anderson County. It is reassuring to see evidence this program can be successful on all levels. 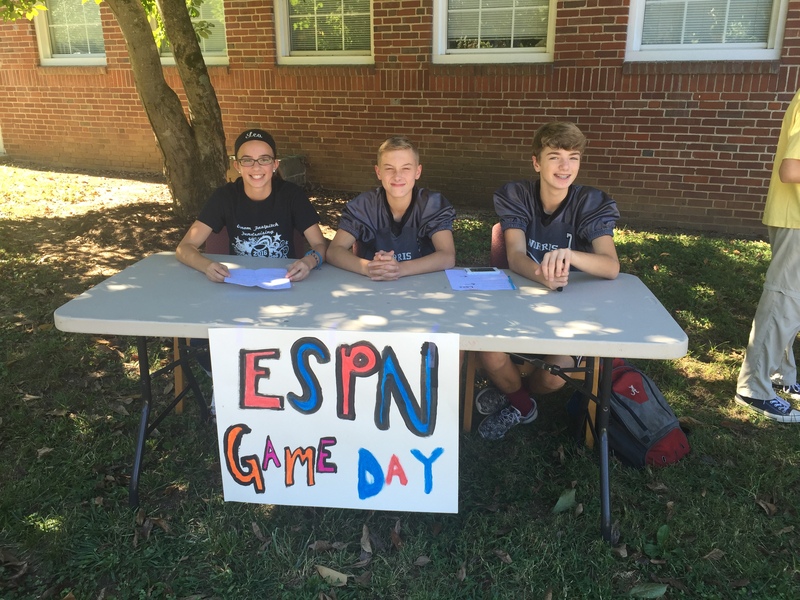 The students at Norris Middle School obviously bought into the theme by creating an ESPN GameDay experience for their drivers. 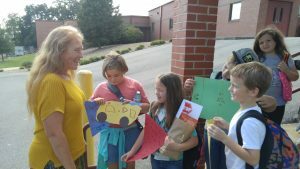 The smiles on the faces of the students show they had a great day creating special memories for their drivers. Norwood Middle School in Anderson County made some adorable videos of the entire celebration including one on the bus as the bus driver was pulling in seeing the cheerleaders, students and staff members cheering for her! What a fun and great perspective to see Bus Driver Day through a bus driver’s own eyes! If you are a coordinator, do you and your students know you are making a difference in the lives of these bus drivers and the other honorees throughout the year? Look at the bus driver’s face from Mt. Carmel Elementary in Hawkins County. She is overjoyed by the students, and it will be a day she will remember for a long, long time. Keep fighting the good fight. Do not grow weary in doing good. You and your students ARE making a difference in the world around you. We are looking forward to seeing Custodian Day photos!